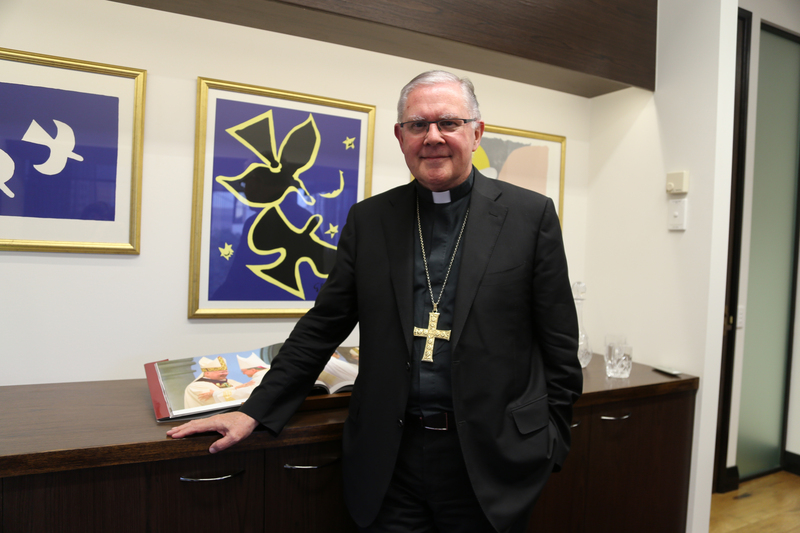 BRISBANE Archbishop Mark Coleridge has strongly defended the rights of the unborn child in a written submission to the inquiry into Queensland’s abortion law reform bill aimed at decriminalising abortion. Archbishop Coleridge described the Church as both pro-woman and pro-life. “Each of us are here today because when we were infants in the womb people cared enough to protect our lives,” he said in his submission. “How can we fail to extend that protection to others? “It is also anomalous that in a culture deeply concerned with human rights that the most basic of all rights, the right to life, on which all other rights are predicated, is denied. Archbishop Coleridge said the right of the unborn to protection under the law was grounded by reason and was upheld by religious followers as well as those without any religious affiliation. Archbishop Coleridge said the law had an educative role. To completely remove abortion from the criminal code could send other messages to people regarding the value of human life, he said. “Such a move towards abortion on demand would lead to many more abortions, with increased pressure placed on vulnerable women faced with this most difficult decision,” he said. “It could also reduce abortion to just another birth control option, disregarding its seriously invasive medical aspects and its grave personal ethical import. “The bill being considered would allow a doctor to perform an apparently consensual abortion without fully informed consent and without also offering support and counselling to the woman to assist her with her decision-making or with her continuing pregnancy. “This fails to appreciate that abortion is a decision which is seriously difficult to make and requires supportive professional counselling. Archbishop Coleridge pointed out that in Queensland the law on abortion was also governed by legal precedent – the decision in R v. Bayliss and Cullen in 1986. Archbishop Coleridge said there was anecdotal evidence that the decision in R v. Bayliss and Cullen is now interpreted more liberally than was intended by Justice McGuire. “We would ask that the State not abdicate its responsibility as guardian of the silent innocence of the unborn,” he said.